Have a Rocket Riot with Windows Phone 7! If you're looking for some fast-paced, rip-roaring rocket-launching fun, you've come to the right place - this review of Rocket Riot for Windows Phone 7 should be just what you're looking for! 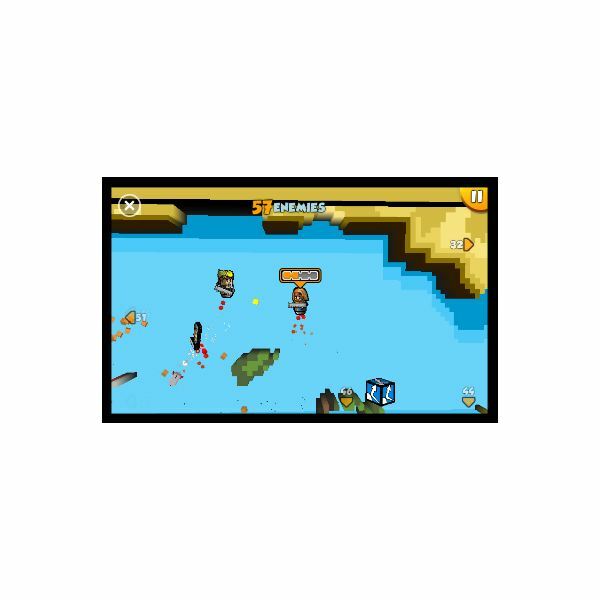 One of the top games for Windows Phone 7 is Rocket Riot, a fun and frenetic title that originated on the Xbox LIVE Arcade. 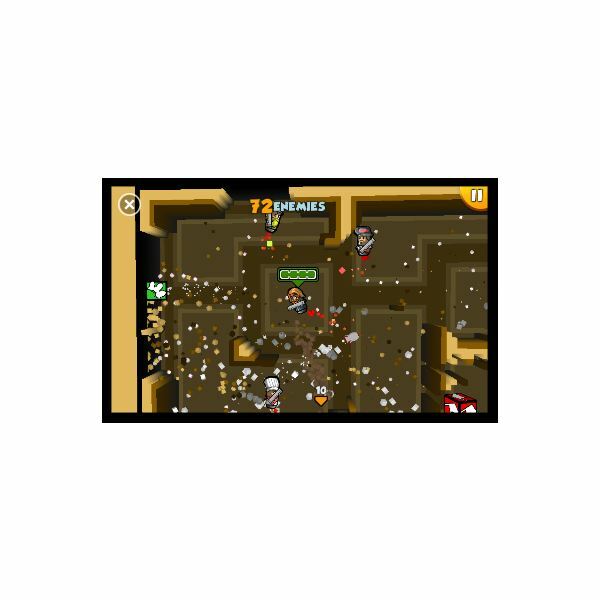 Reduced in size for Windows Phone 7, Rocket Riot features high tempo blasting action in a destructible landscape with a quick-to-get-the-hang-of user interface and superb pseudo 8-bit graphics and sound track. Affecting retro charm is a difficult trick to pull off – some games fail abysmally. So just how does Rocket Riot succeed in being one of the most popular titles for Windows Phone 7? Offering the simple concept of hunting down a bunch of pirates with the same flying ability and rockets as yourself, Rocket Riot throws in a bunch of power-ups with variable results (will you turn invisible? Get a multi-shot rocket? Be unable to move?) and a fast and energetic bit of gameplay that often seems to be over before it has begun. Controls are simple – left thumb controls the position of the player character while the right thumb directs the rocket. Small hands might have difficulty not catching the hardware buttons, however, particularly on HTC devices. The only thing that Rocket Riot misses is a two-player mode; currently Windows Phone 7 integration with Xbox LIVE isn’t mature enough to handle this sort of interaction, but with this being a feature of the upcoming PlayStation integration for Android it shouldn’t be far away. With top gameplay that basically lets you destroy everything (although it all reforms eventually…) Rocket Riot also features a superb 1980s-esque soundtrack which is occasionally punctuated with the sound of explosions and other dramatic on-screen effects. 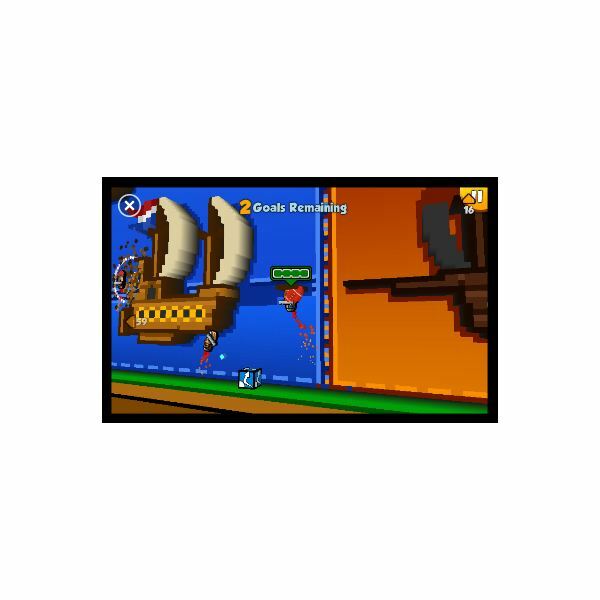 As for the graphics, they’re cleverly designed – like the original Xbox Arcade version – to be evocative of the halcyon days of 8-bit and 16-bit gaming, with platforms, blocky edges and exploding pixels left right and centre. Additionally the user interface is represented on screen by a useful visual meter for the direction and strength of the rocket you’re firing. As you might have seen with previous reviews of The Sims 3 and The Harvest, Windows Phone 7 games that feature Xbox Live integration seem to be unnecessarily priced, with games costing (UK price) £5.49 on Windows Phone being available for at most 20% of that price on iPhone. Sadly, this is the way things have panned out so far with Windows Phone 7, but pressure from gamers leaving constructive comments in their reviews of the games on the Marketplace will help to bring these prices down. Rocket Riot is available exclusively from the Windows Phone 7 Marketplace, either via the Marketplace Hub or via the Zune desktop client. Rocket Riot is easily, without a doubt, the most entertaining and frenetic game on Windows Phone 7. Offering everything that a fun shooter should, you will barely get a chance to think before it's time to attack and destroy your next enemy. Top quality graphics and a great soundtrack play their part, but the real strength of the game is in the gameplay and controls – it’s just fun, something that you can’t describe certain other Windows Phone 7 top sellers as being. I’d almost venture that the price is worth paying on this title – but I’ll hold off on that summation until Microsoft address the issue. 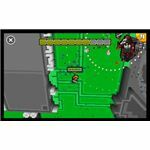 Despite this, if you have a Windows Phone 7 handset you should at least try Rocket Riot – it’s that good, you’ll probably want to buy it. In fact, I’m off to play it again!